This year, birdwatchers all around the world will raise funds for Doğa to fight illegal killing of migratory birds in flyways. Every year approximately 6.5 million soaring birds migrate between Europe, Asia and Africa using 2 major flyways crossing Anatolia. 2 million storks and raptors fly over İstanbul while 1.2 million raptors passes from Batumi bottleneck and enter Anatolia from north-east. Millions of ducks and geese also use these paths. 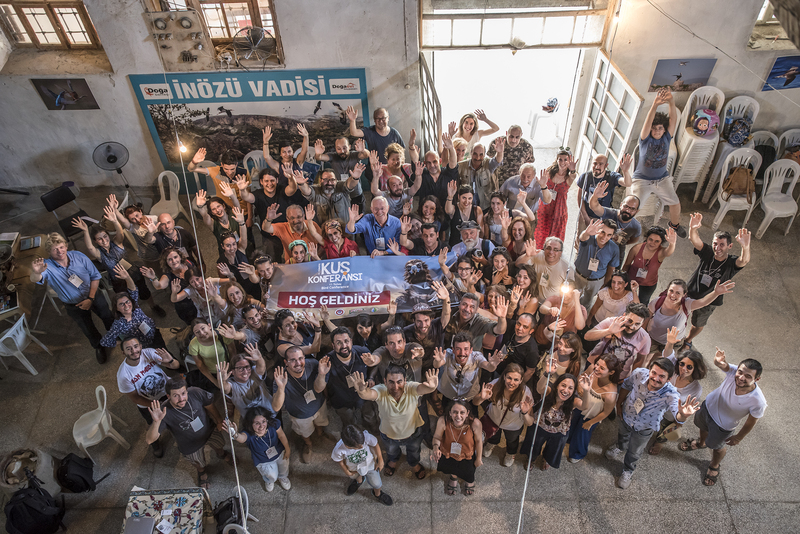 Doğa’s conservation team is working to make Turkey more safe for birds for 15 years and this year “Champions of the Flyway” race is supporting Doğa’s cause. The Champions of the Flyway (COTF) is an innovative bird race for conservation and dedicated to tackle the issue of illegal killing of migratory birds within the Mediterranean by raising funds for conservation projects. 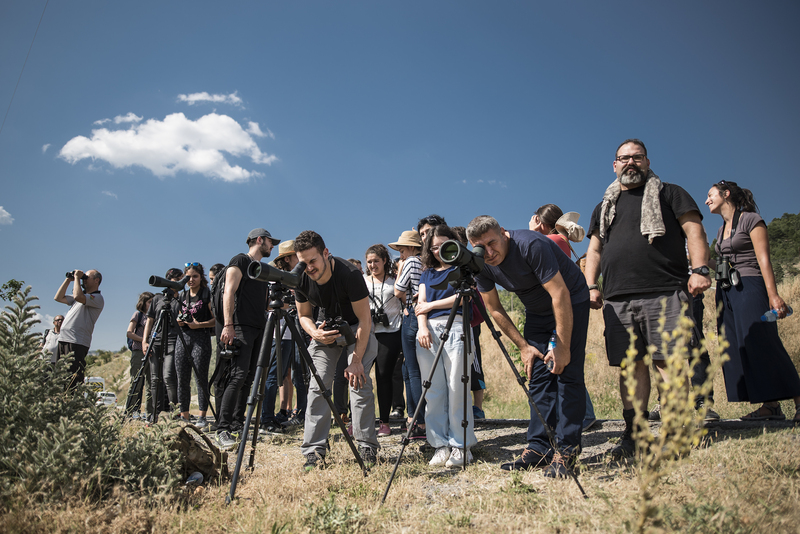 Birdwatching teams from all over the world unite annually for this event and try to raise donations from their supporters for the selected country. Last year COTF raised 80,000 USD for projects tackling the illegal killing and trapping of birds in Greece. In 2017, Turkey is selected to be the beneficiary. Major death causes in Anatolia for migrant birds are collusion, electrocution, poisoning and illegal killing. Doğa’s team already started working in Urfa, Birecik, Hatay Amanos Mountains and “Lakes Region” which is one of the most important relicts of Tethys Sea formed of a closed basin with numerous lakes, to ensure safe passage for migratory birds. The team has also developed a conservation program for six threatened steppic species which is running with the support of local conservation groups from all over the country. With the help of Champions of the Flyway event, Doğa will have a great opportunity to extend its education and awareness program, focused on Syrian refugees, to make the flyway safer through children. Like many bottlenecks all around the world, illegal killings of the birds is a rising issue for Turkey’s and Earths nature. Many families encountered during field visits taught Doğa that hunting is a -thousands of years old- cultural practice and it is unstoppable with just regulations but only with support of education. Citizens living at most of the villages visited within the flyway have no information about world’s threatened species, migration routes, hunting regulations and so on. Hunters are hard to change but their families and children are the hope. According to official numbers of Turkish government there are more than three million refugees residing in Turkey. More than four hundred thousand refugees are based in Urfa province. Turkey has different regulations than the ones implemented in Syria and illegal hunting is very common in communities. Since the refugees from Syria has acquired a role because of their long-lasting presence as actors in Urfa, innovative regional solutions are needed such as working with the Syrian groups to secure the conservation benefits that occurred in the last decade. Doğa’s team is active for 12 years in the area and already built a local conservation group who are also legal volunteer game wardens. These wardens have official authority to tackle, impose fine and stop illegal hunters. With the joining of Mahmoud Shaiesh Abdoullah -a former Bald Ibis warden at Palmyra, Syria- who escaped from Syria with his family and became a refugee himself and joined Doğa’s conservation team, Doğa is now much more strong to tackle conservation issues caused by refugees because a native speaker can directly engage the situation. Mahmoud and Doğa team started to visit refugee schools to build a proper training program. Another focal area of Syrian refugees is in western part of Turkey, İzmir where more than a hundred thousand refugees are living unofficially. 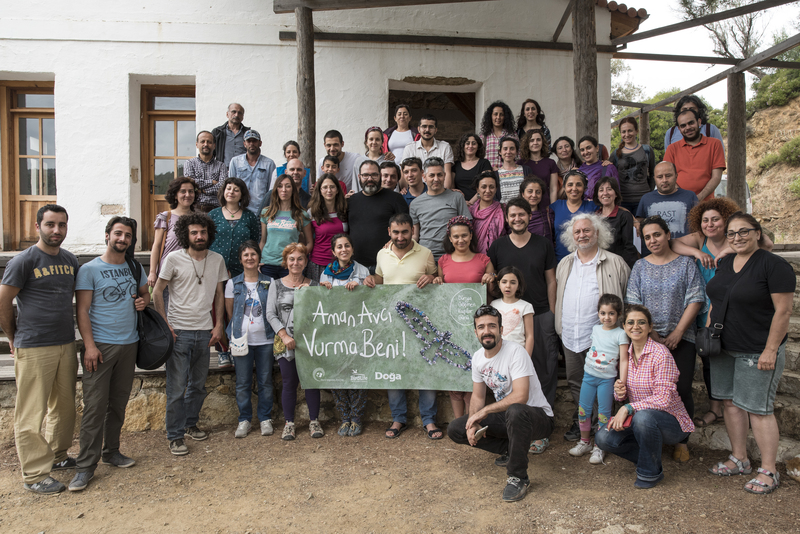 Doğa’s Seferihisar Nature School is located in the area which develops and implements Doğa’s capacity building programme within its strategy. Syrian refugees within İzmir region are a great danger towards songbirds especially finches by trapping. Prepare and disseminate a short movie in Turkish and Arabic to be shown at public places and Syrian refugee camps. 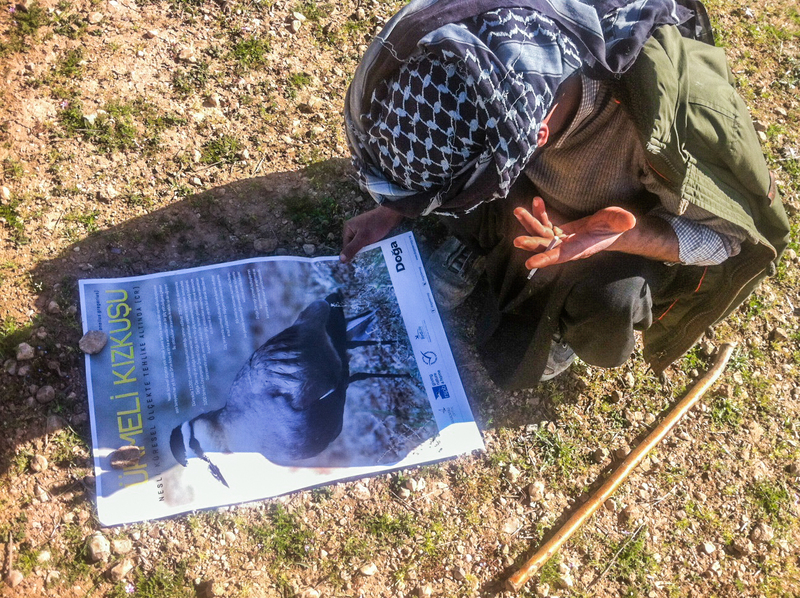 You can see and donate to Doğa’s birdwatching team with this link.